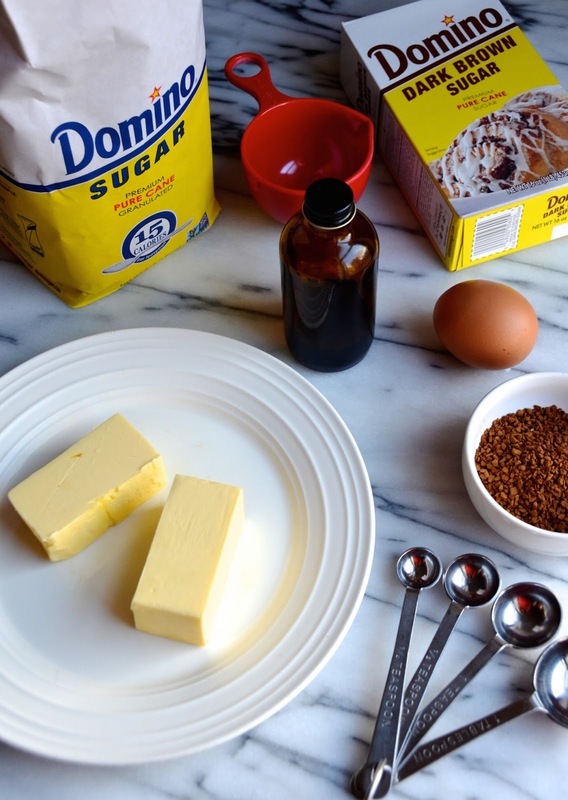 Thank you Domino® Sugar for sponsoring this holiday baking post. Did you grow up baking Christmas cookies in your family? I know it's a tradition for many, but you might be surprised to learn that it's actually not the case for me. My mom is a great cook, but she absolutely does not bake. My grandmother used to make wonderful desserts, but very few of those involved baking. Our holiday treats and traditions consisted of Puerto Rican favorites like arroz con leche (rice pudding), tembleque (coconut pudding), and coquito (our Puerto Rican version of eggnog), the latter of which my mom would make in bulk every December for my dad to give to his coworkers. I loved all of these desserts (and still do! ), but as a child growing up in a primarily Italian-American neighborhood, I was also fascinated by the gorgeous cookies that my friends' moms would make and share during the holidays. I was obsessed with the way their warm kitchens would fill with platters of red and green layered rainbow cookies, chewy almond pignoli, chocolate-dipped orange crescents, and (most exciting of all!) mountains of shiny, confetti and honey-topped struffoli. I loved the way they packaged them up--some in elaborately festive tins or shrink-wrapped baskets, while others would stick with more simple paper plates wrapped with plastic and a simple Christmas bow on top. 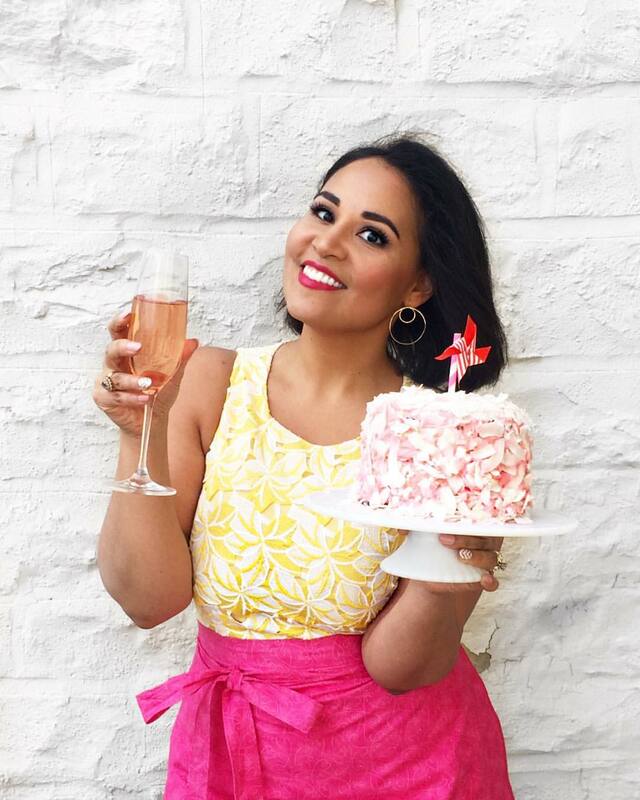 As much as I craved the sweets, I was admittedly even more envious of the way different generations of moms, daughters, and grandmothers would gather together to laugh and bake. 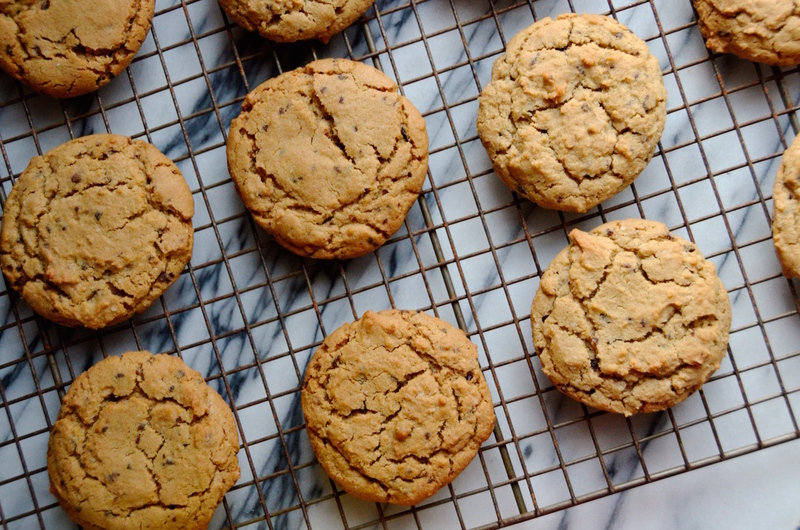 As I grew older, I finally got permission to take over the baking reins in my family, starting out with cookie recipes borrowed from cookbooks until I was finally able to experiment with my own creations. My dad, from whom I definitely inherited my sweet tooth, was a fan of my experiments and would often encourage them. About ten years ago, he randomly asked if I would be interested in baking cookies for him to give to his coworkers for Christmas. I eagerly agreed, and finally I got my wish of a kitchen filled with dozens and dozens of cookies in all shapes and flavors! Each December, I like to take the opportunity to play around with a few new recipes to add to my repertoire of favorites. 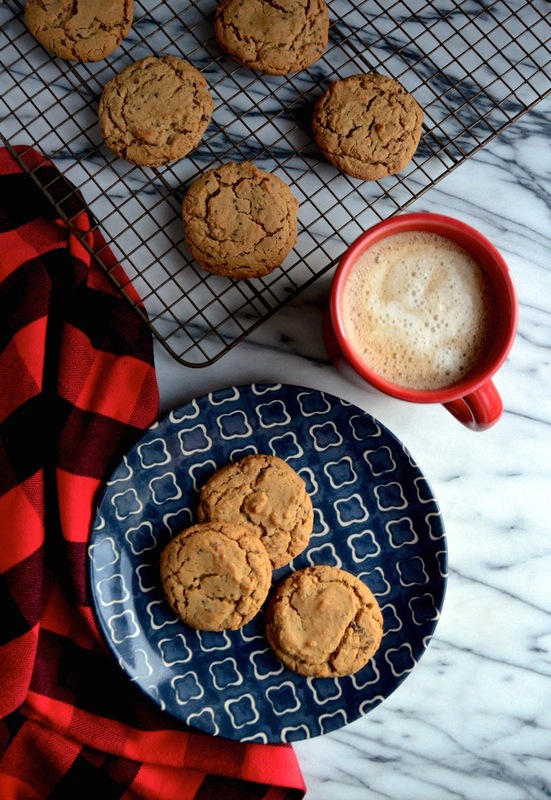 This year, I've fallen in love with these Chewy Espresso Cookies. 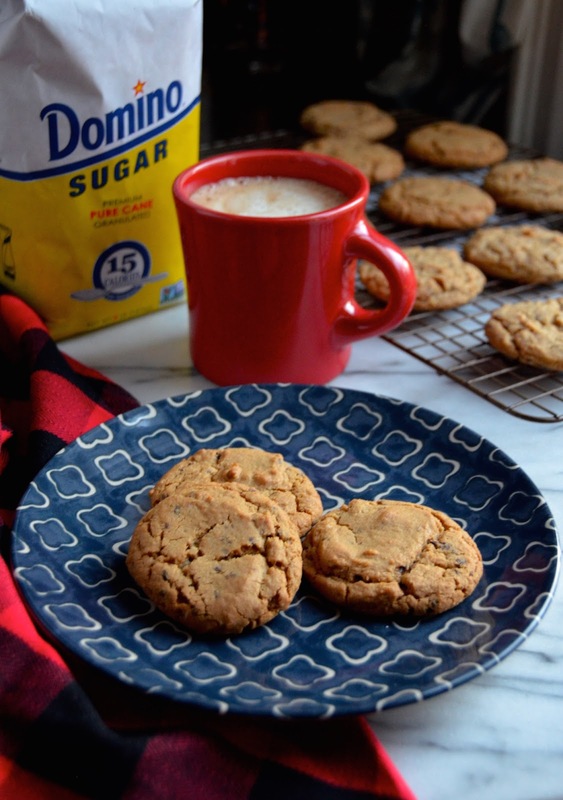 Made with good instant espresso, and a mix of granulated and dark brown sugar, these cookies are the perfect mix of sophisticated and classic. It's that chewy texture that everyone loves, with rich and totally grown-up coffee flavor that will definitely be a hit with your family and friends. NOTE: Domino® Sugar is sold where I live, but if they don’t sell it in your area, look for C&H® Sugar products, the sister brand of Domino® Sugar. In a mixing bowl, whisk together baking flour, baking powder, baking soda, and salt. Set aside. In the base of an electric mixer, combine butter and both sugars and beat on high for five minutes, or until light and fluffy. Add the egg and beat until worked in completely. Add the espresso, milk, and vanilla, then beat in for another minute. Add the flour mixture and beat just until completely combined. Cover dough with plastic wrap and chill at least one hour, and up to overnight. When ready to bake, preheat oven to 375 degrees. Line baking sheet with parchment paper and scoop tablespoon-size balls of dough onto prepared sheet, leaving 2 inches apart. Bake 8 - 10 minutes, or until golden brown, puffed up and slightly cracked in center. Repeat with rest of dough (keep remaining dough chilled between batches). Remove from oven and immediately transfer to rack to cool.